In an increasingly digital and global business environment, when traditional models are being questioned, is the concept of the family business still relevant? Indeed, some may ask whether “learning the ropes” at a parent’s knee produces business leaders equipped to deal with the challenges of running a company in an age of mobile and social commerce and data-driven strategies. While there are elements of truth behind these concerns, the reality is that family ownership more often provides stability, long-term vision and creativity. The Wall Street Journal recently provided a model for family businesses in an article profiling the efforts of the Nordstrom family to keep their department store vital in an age when many peers are falling behind (“Can the Nordstrom Family Outrun Retail Woes?,” Feb. 15, 2018). The Nordstrom family is demonstrating some of the best qualities of a family business. First, family business owners often exhibit a deep pride and commitment to the family legacy. They are willing to make significant sacrifices to ensure the sustainability and viability of the family brand. They demonstrate their family values and use them as a foundation for key strategic decisions. Second, they focus on the long term. Many business families see the value in preserving the business for generations to come. They are more likely to pay attention to visionary strategies and to stay the course, rather than settle for short-term gains. 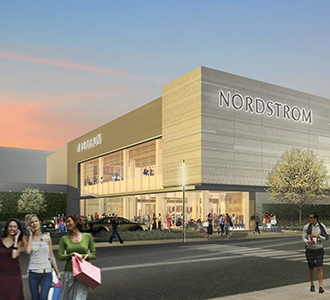 In the case of the Nordstroms, they also have the advantage of a large number of family members who are engaged and interested in running discrete parts of the business — e-commerce, operations, customer service and marketing. Successful family operators know that while not every son or daughter, niece or nephew is CEO material, they can still provide leadership and fresh thinking in key areas. At its best, a family can speak with “one voice,” demonstrating a commitment to innovation and entrepreneurial risk-taking and a willingness to be a market leader rather than follow established patterns. Traditionally, family businesses have led the way in creating new products, services and jobs in this country. They bring an entrepreneurial spirit that is based on more than profit and includes a commitment to building and maintaining their company’s and family’s reputation, caring for their employees, caring about their impact on their local communities and the world as a whole. My hope is that Nordstrom’s strategic gamble pays off in the long haul and provides a clear example of the value of looking beyond just short-term shareholder profit, demonstrating clearly the value that the family places on its reputation and its brand. Lisë Stewart is the managing director of the Center for Family Business Excellence within the Private Business Services Practice of accounting firm EisnerAmper. In 2014, she founded the Galliard Family Business Advisor Institute, a not-for-profit membership organization for those interested in supporting and saving family-owned companies in their local communities.